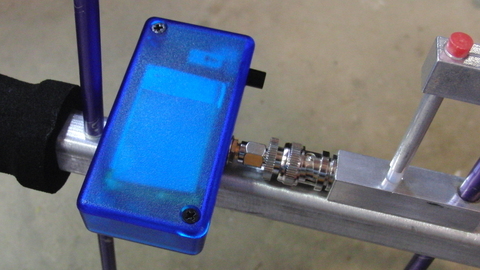 TeleBT provides the equivalent of a TeleDongle, with both USB and Bluetooth for connection to the ground station computer or mobile device. 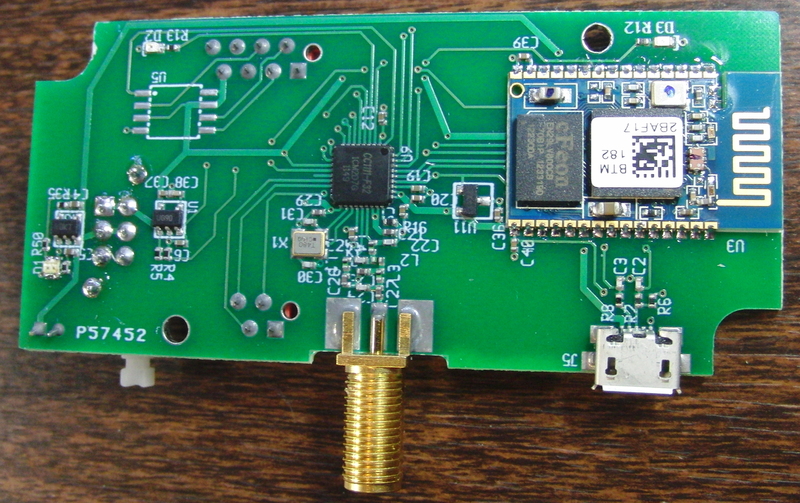 The RF filter components are set for use in the vicinity of 435 Mhz. 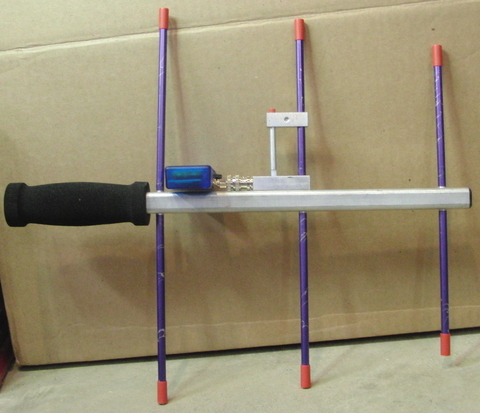 These are photos of the first production version, 1.0. Maybe someday we'll get around to adding photos of the current production version 4.0, but they look pretty similar once they're in the blue box! 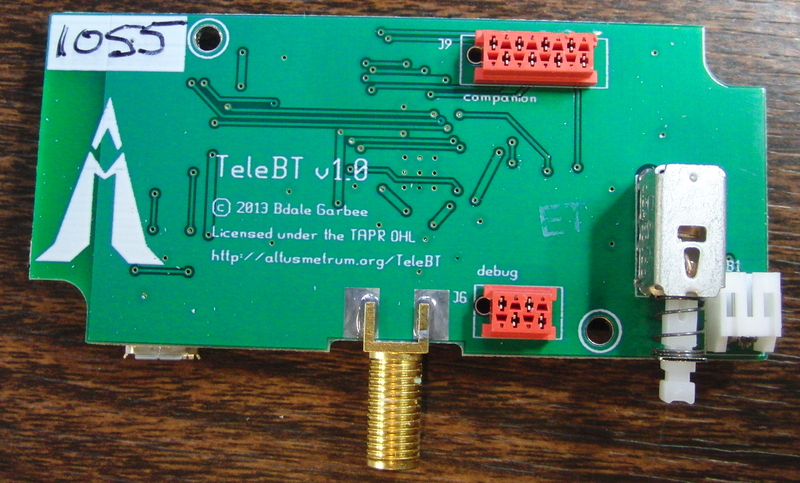 For the latest TeleBT firmware and related software, please visit the AltOS and AltosDroid pages on this site. There is also a compatible iOS application available for sale from our friends at Iron Sheep Productions. If you're using TeleBT with an Arrow yagi, we now have a 3D-printable mount design available! There is a single manual for all Altus Metrum products, which is available in html and pdf formats. The hardware design current gEDA files are available from git.gag.com in the project hw/teleshield. For those who don't have ready access to the gEDA suite, here are pdf snapshots of the files for Production PCB version 4.0 in more easily readable form.